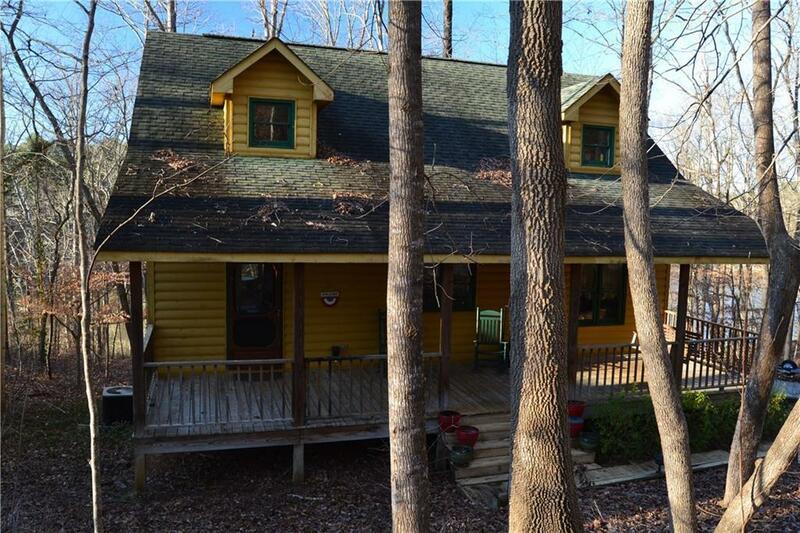 This great Lake Hartwell home is sited on a very private location. The log style home has a full-width front porch that welcomes you to the home. The great room with wood floors and wood stove is adjacent to the eating area and kitchen and leads to the large screened porch overlooking the lake. There is a 6 person hot tub on the porch to enjoy the cool evenings while relaxing. The main level also has a full bedroom and adjacent bath. Upstairs there are two more large bedrooms and a shared bath. If you need more space there is a full unfinished basement and a one-car garage. There is an improved path to the covered slip dock included in the sale.